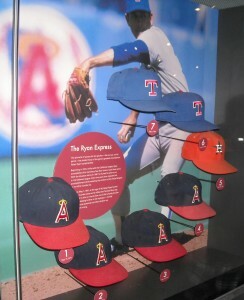 Seven of Nolan Ryan’s caps signifying his seven no-hitters in the Baseball Hall of Hame. 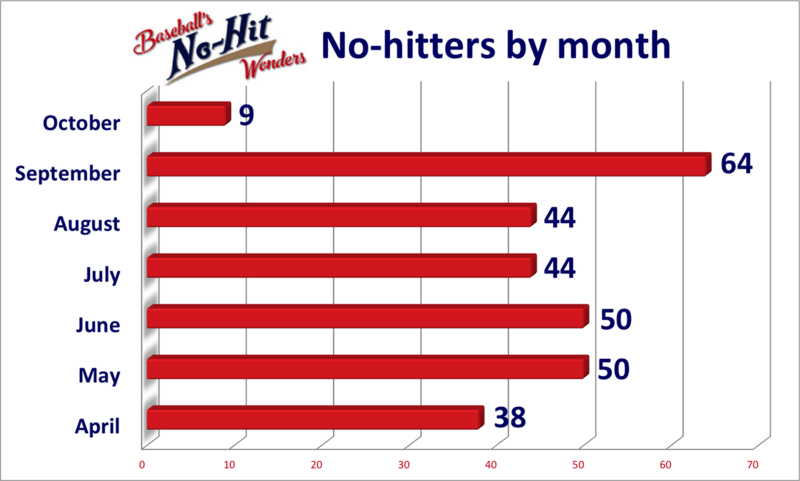 The powers that be recognize 299 sanctioned no-hitters in major professional baseball history (277 in the N.L. and A.L. ), although there used to be some 50 more of the accomplishments in the record books. 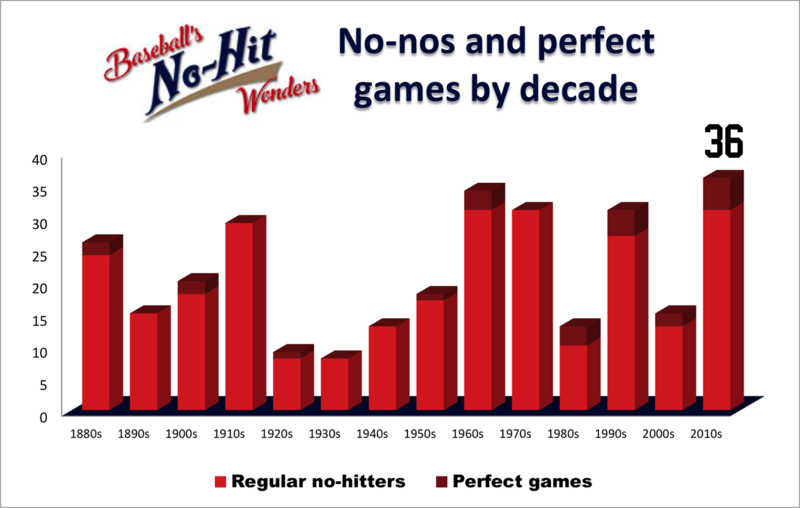 (Click here for the list of the games once considered no-hitters but now unrecognized.) Nolan Ryan holds the record with seven no-hitters over his career. 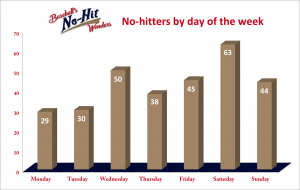 Major League Baseball also doesn’t recognize a July 28, 1875, National Association no-hitter pitched by the Philadelphia Athletics’ Joe Borden against the Chicago White Stockings, as MLB considers its history to begin with the 1876 formation of the National League. A possible 1876 no-hitter thrown by Borden when he was with the Boston Red Caps was unearthed in 1950 by baseball historian Lee Allen, but there’s still some dispute over whether the two men who reached base during the 9-0 win over the Cincinnati Red Stockings did so through base hits or walks. Odom is pulled after issuing his ninth walk to leave off the sixth inning. Barrios finishes the game while walking two more, completing the 11-walk no-hitter. They seem to be much harder to come by this season than last, that’s for sure. 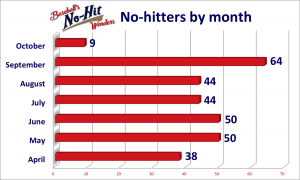 At the top of webpage on the left under “Last 5 No Hitters” You have E. Volquez as on 9/3/2017 not 6/3/2017. 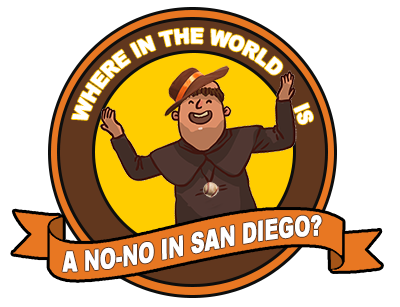 Thanks, fixed. Wouldn’t it be weird if throws one on that day as well? I believe I hold a major league fan record for not only seeing 2 no hitters in person but having the no hitters 56 years apart. Saw first no hitter on May 15, 1960 Cubs vs Cardinals at Wrigley. Don Cardwell (just traded fro STL 2 days earlier) pitched no hitter in second game of double header. I was 9. Last year went to Cincinnati on business and decided to go to Cub game vs Reds on April 21, 2016. Arrieta threw no-hitter. Final score 16-0 which was the widest margin of victory. So I saw 2 no-nos 56 year apart and I believe nobody can top that record. my email is jwh61550@aol.com. Thank you. That is impressive! My guess is Vin Scully might be the only one to have that beat!